The name sounds like the title of a 1950s sci-fi movie: VOTU – the Voice Of The Universe! 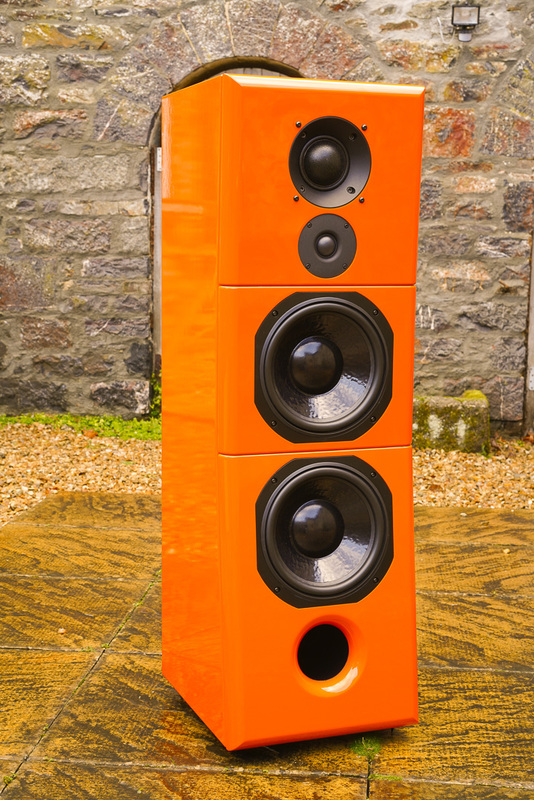 Graham Audio’s grand statement loudspeaker is a bold departure from a brand best known for products very much in the BBC design school. In fact, there is some lesser-known lineage to the VOTU in the Graham Audio line. Several years ago, Paul Graham was approached by the Royal Opera House in London to develop a pair of ‘effect fill’ loudspeakers for one of its theatres. Unlike a typical Public Address system (which might be an active line array), the Royal Opera House wanted a passive design more akin to domestic loudspeakers, only writ large enough to reach a whole, opera-going audience. This became known as the SYSTEM3D loudspeaker. The three-way VOTU is basically that SYSTEM3D design, reworked for domestic use. However, both the SYSTEM3D and VOTU are not so far removed from that BBC heritage as one might first imagine. As with all of Graham Audio’s designs, the VOTU is from the pen of Derek Hughes, the son of the late Spencer Hughes who was a key part of the BBC R&D team that first minted those classic designs. Also, despite the impressive scale and heft of the loudspeaker, and the bright orange livery of the review sample, the VOTU remains true to the BBC’s strategically damped, 18mm thin-walled birch ply cabinet design, albeit one with internal bracing. You might find that somewhat hard to believe when attempting to man-handle 65kg’s worth of loudspeaker cabinet into a listening room, but if it were made of Corian or aluminium, a loudspeaker of the VOTU’s dimensions would top the 100kg mark. That comes as cold comfort when you need your physiotherapist on speed-dial during set-up. Where the great departure from classic BBC designs begins is in the shape of the front baffle. This is divided into three separate panels: the top, containing midrange and treble domes, which arches forwards slightly, the central 250mm driver, and the lower 250mm driver and front port, which is also angled forwards slightly. The result looks similar to the Focal Grande Utopia EM, only not adjustable and not as extreme: the depth of the VOTU goes from 43cm at the base to 38cm at its midriff. Once you start to include the 37cm width and the 116cm height, all wrapped in a high-gloss paint and lacquer finish, you begin to see where much of that weight comes from.